Dimensions: 34 inches in height, 63 inches in length, and 24 inches in depth. 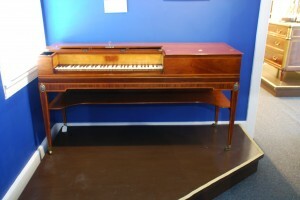 Description: The pianoforte is constructed of a type of mahogany called satinwood. It has a delicate and decorative inlay of olivewood, satinwood, and ebony surrounding the entire perimeter of the upper case and legs. 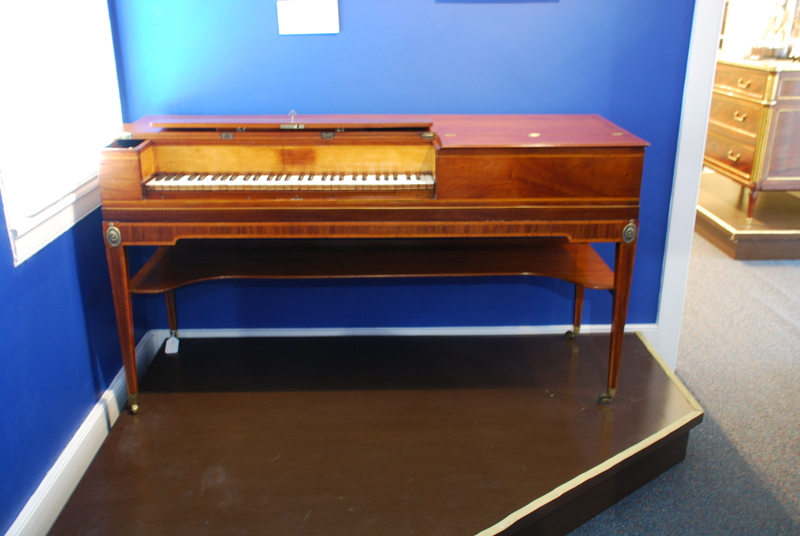 The left two-thirds of this case are the keys, which are made out of ivory. The keys that are painted ebony note the five full octaves. There is a small compartment to the left of the keyboard to hold a candlestick. Under the body of this piece is a shelf, also made from satinwood. 3-D Scanning Process: This object was difficult to scan with the Kinect. There was limited space in the exhibit room, which made scanning challenging. However, we were able to get partial scans, one of which you can see above. For the complete collection of scans of the Pianoforte, click here.